Avui os porto la review d’un gag-jet que em vaig comprar per la meva torre i que no vaig tardar gaire a abandonar-lo en un prestatge, estic parlant d’una carcassa de doble baia per allotjar 1 disc dur de 3,5″ i un de 2,5″ en una baia de 5,25″, tot això afegint funcionalitat Hot Swap. Et ve amb dos cables SATA i una parella de claus, que son més aviat una eina que no pas per seguretat. Carcassa d’alumini amb bona pinta, les palanques platejades son de plàstic, tot i que tenen acabat metàl·lic. Porta un ventilador per fer passar l’aire, cosa del que crec que va més just. 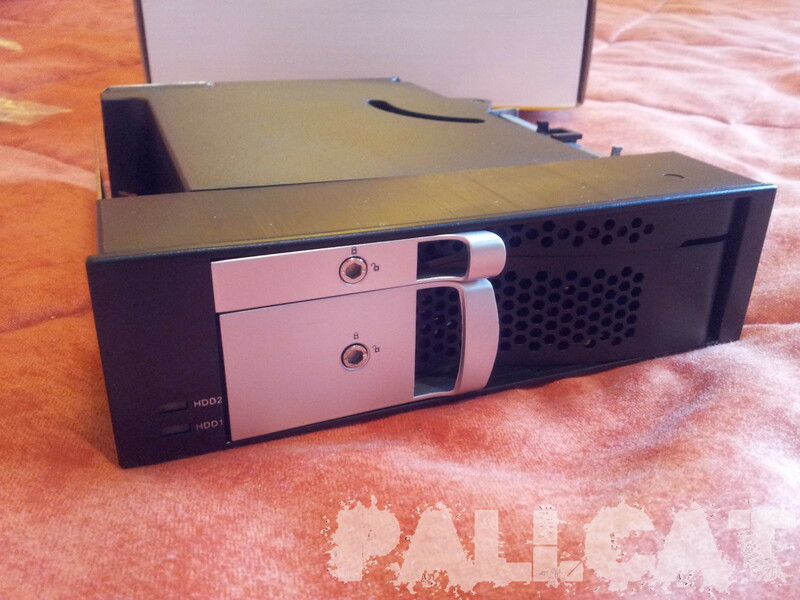 La prova la vaig realitzar amb un OCZ Aglity 4 de 128Gb i un Western Digital Black 1Tb Aquest és l’aspecte que queda muntat en una gran torre, un pel ample per la baia de 5,25″ ja que entra a pressió. El resultat d’un us moderat, utilitzant 95% el SSD per treballar de normal i jugar, les temperatures dels dos discs superaven els 50º tranquil·lament en Idle. Per tant per mi no mereix l’ús de la mateixa, la resta de components tenen un acabat bastant bo per el preu, ronda el 30 i tants €. Avui començo una sèrie de mini imatges, tipo face, però que cony, al meu blog, que per algo el tinc. Reparant un equip em va ocorre una cosa curiosa, sembla que la placa tenia algun mal contacte i al provar l’equip va començar a sortir fum, s’estava cremant! En el procés de muntatge del meu servidor local, vaig trobar per un calaix una antiga controladora, comprada al 2006 sata de 4 ports, la Sunix Sata4000, que sembla el nom de l’escombra de Harry Potter, la nimbus 2000 xD, bromes apart, vaig començar tot emocionat a muntar el meu servidor amb 8 disc durs de 1Tb, per la placa base 4 i per la controladora altres 4. 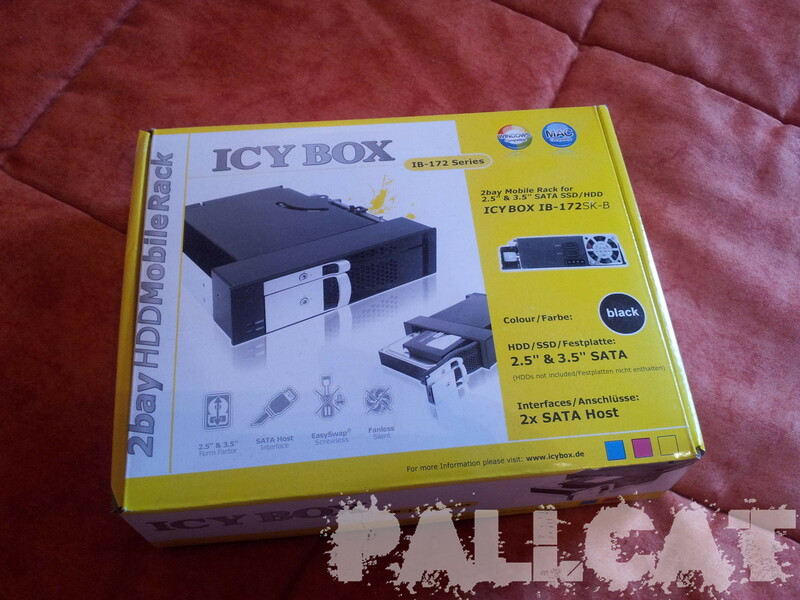 La placa base és una P5N32 SE SLI-Deluxe, molt rebentada per fer-li overclock i haver utilitzat refrigeració líquida. Això em donava els meus dubtes de fiabilitat dels components, i per tant no era un exemple fiable on provar la controladora. 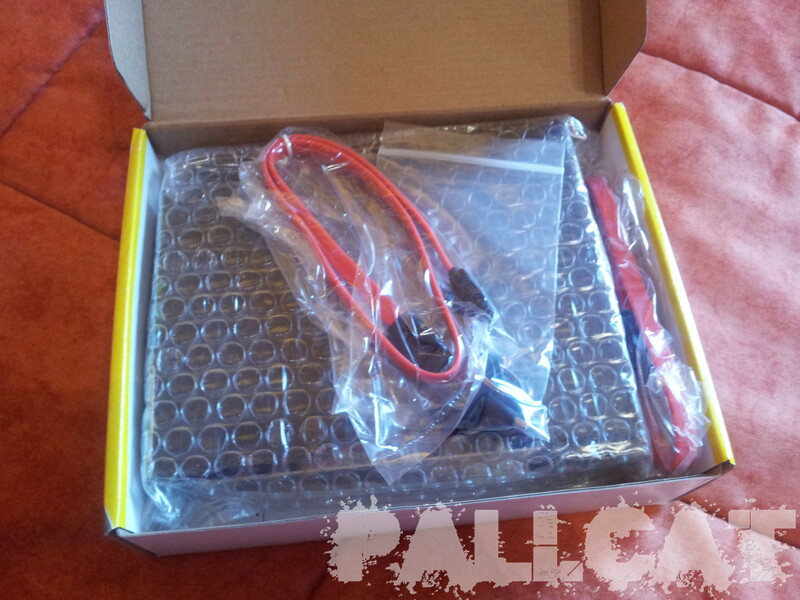 I utilitzant la placa abans nombrada..
Dons resulta que detecta el disc dur a la fase de la BIOS, però es queda parat allà, cosa que no em deixa continuar. Provo amb altres HD’s, tots de més de 137Gb com posa a la caixa, i al final desisteixo. 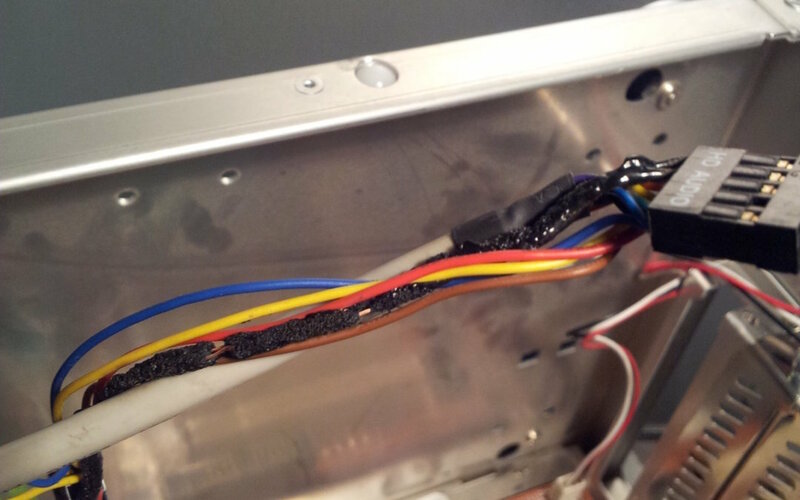 Desprès d’indagar una mica, he trobat que el problema resideix en la BIOS de la tarja, que monta un xip SiI3114, immediatament visitant la pàgina del fabricant arribem a la conclusió de que és possible que el fimrware obsolet no detecti be els disc durs de més de 137Gb. Dons anem a ello. Critical: Hard drives and Solid State drives (SSD) are highly sensitive precision instruments that read, write, and store information on spinning magnetic disks. 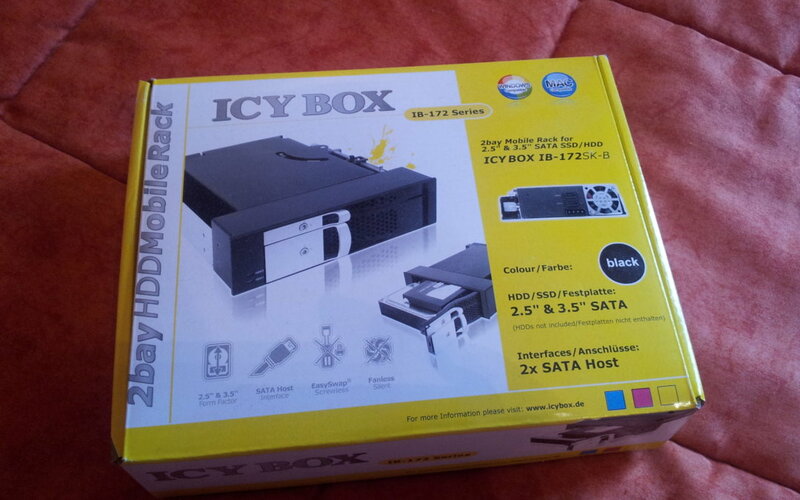 Special handling is required to protect hard drives from damage. Hard drives can be damaged by Electrostatic Discharge (ESD). Before handling, please use a grounding strap to protect your hard drive and other electronic computer equipment from ESD damage. 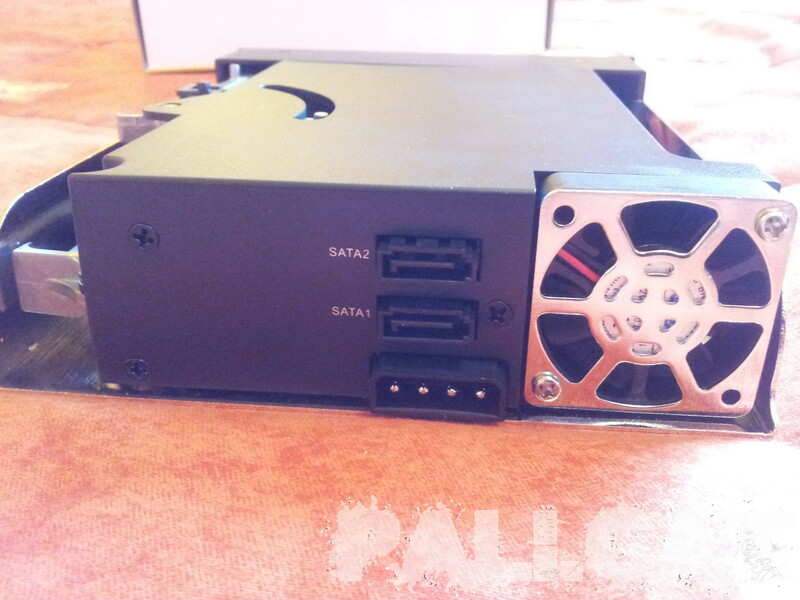 Desktop Drives: The drive can be mounted in a standard 3.5″device bay. 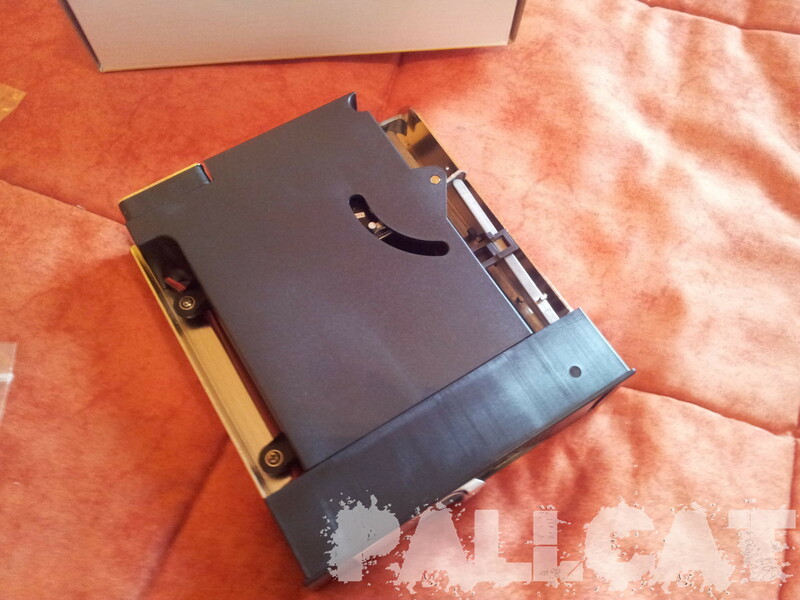 The drive can be mounted sideways, on end, or even upside down as long as the mounting screws are used properly. 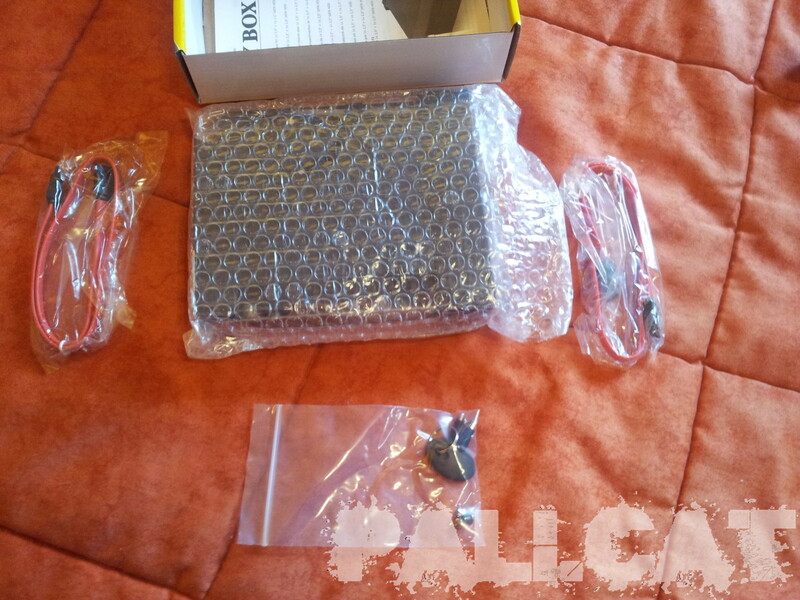 Use either the four bottom screws or four of the side mounting screws to support the drive. This will prevent vibration and provide additional electrical grounding. 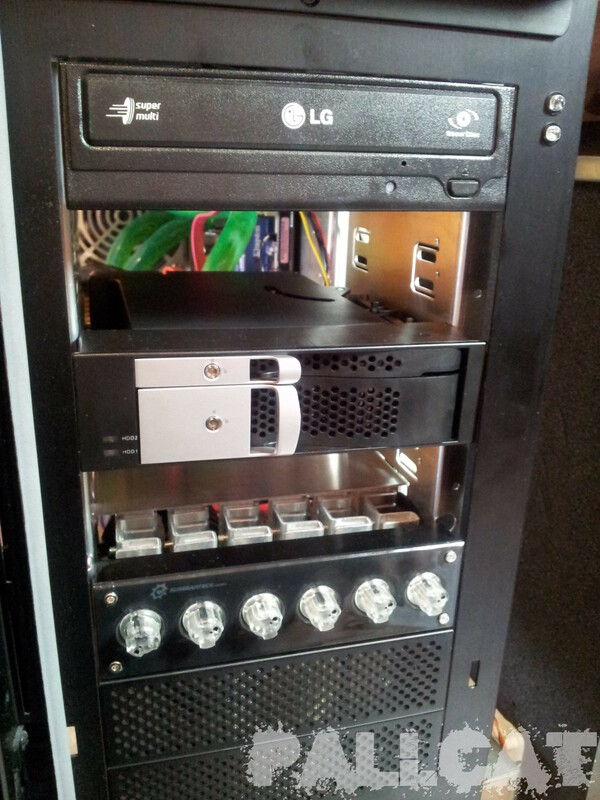 Mobile Drives: Mobile drive installation will vary based on the manufacturing of the system it is being placed in. Please contact your system manufactuer for instructions on mounting your drive in your system. Depending on your drive, your jumper settings will vary. There is generally no need to change the default jumper setting in order to use the drive. Your drive’s label will show the exact jumper settings your drive supports. See the images below for examples of our most common jumper settings. 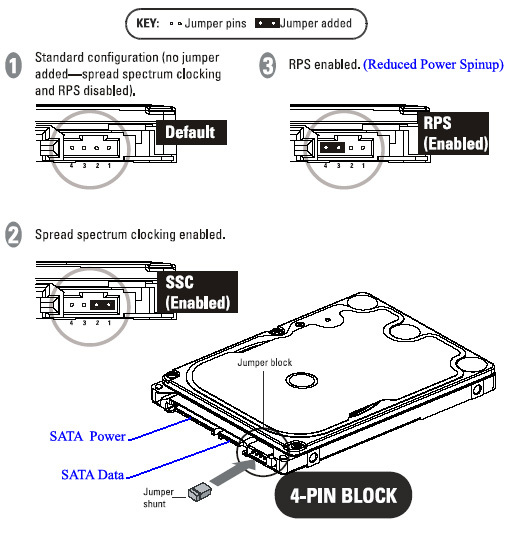 Important: Caviar Black drives that have a model number of WD1002FAEX-00Y9A0 use the SATA 3.0 Gb/s pin layout – setting Jumpers 5 & 6 on these model drives will enable OPT1 which will set your drive to 1.5 Gb/s. Please Contact Us with any questions or issues with the jumper settings on this model drive. 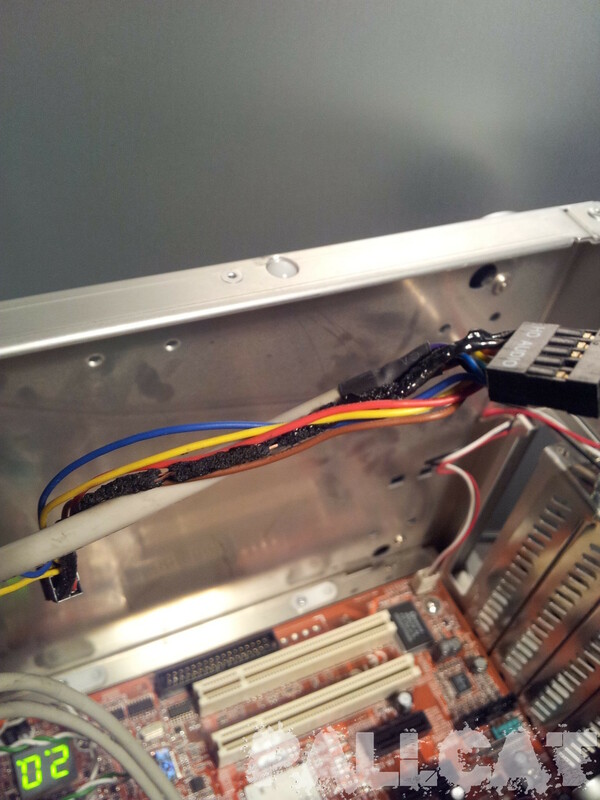 To supply power to the drive you may use either the SATA power connector or the legacy ATA-4-pin (Molex) power connector on the back of the drive (see image below). 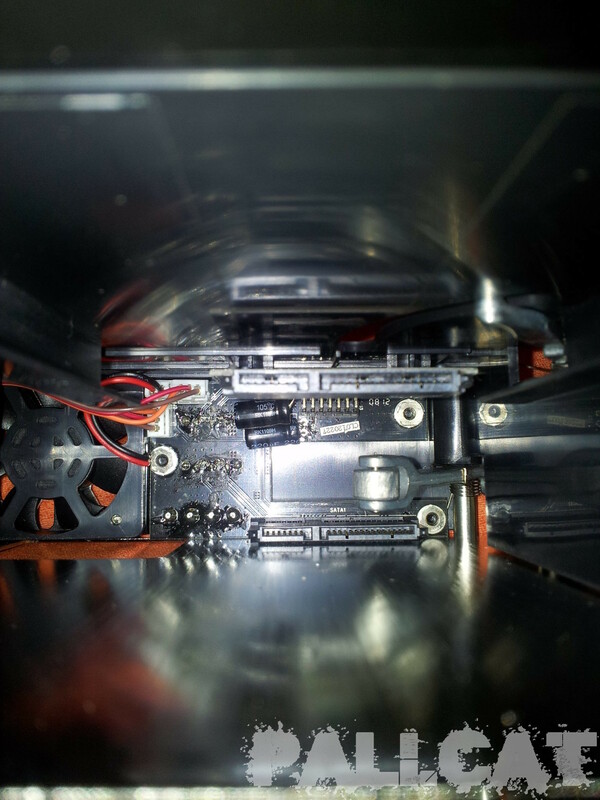 Important: If your drive has both power connectors, do not connect both the SATA and the legacy ATA power cable to the drive at the same time. This may result in damage to the drive. Connected to a SATA host adapter card installed to the system. Unlike EIDE cables, either end of a standard SATA cable can be connected to the drive. 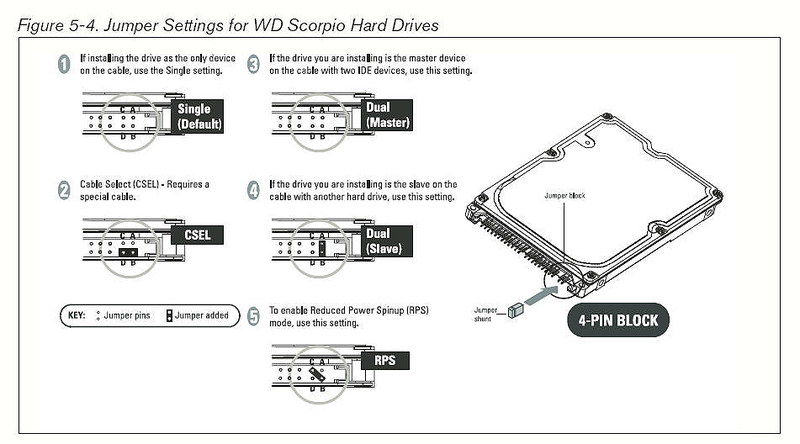 Once you have connected the cable to the drive, connect the other end into the SATA host adapter card, or the motherboard. SATA interface cables have keyed connectors to prevent incorrect installation. 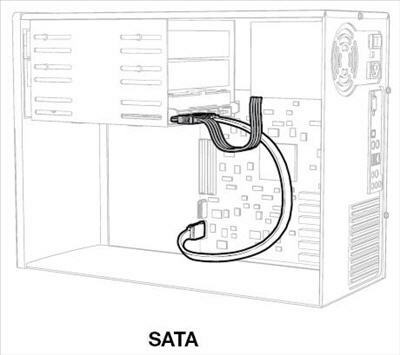 Make sure the cable is no longer than 39 inches to minimize line noise and to remain within the SATA specification. Connect the black connector of the EIDE (PATA) interface cable to the drive. 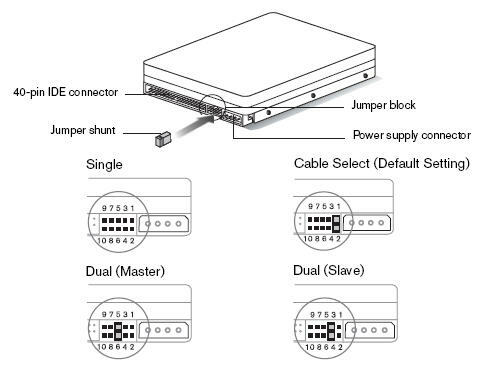 Jumper the bootable drive as Master, and the other drive as Slave; then connect the Master drive to the black connector of the EIDE (PATA) interface cable, and the Slave drive to the gray connector. Attach the blue end of the IDE interface cable to the 40-pin connector on the motherboard. Match pin 1 on the IDE interface cable to the connector on the motherboard. Replace the system cover, reconnect the power cord, and power on the system. At startup, the computer will display all the devices detected on the system. If the drive you installed is not detected, restart the computer. At startup, run the CMOS Setup program and configure your BIOS so your drive is detected. 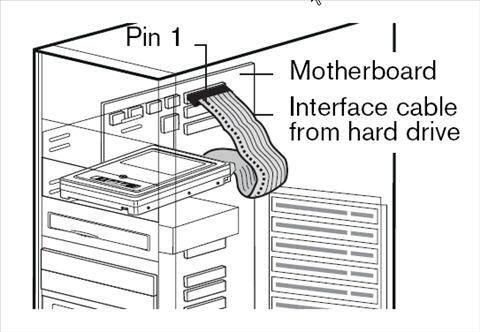 Your system or motherboard manual should provide these instructions. 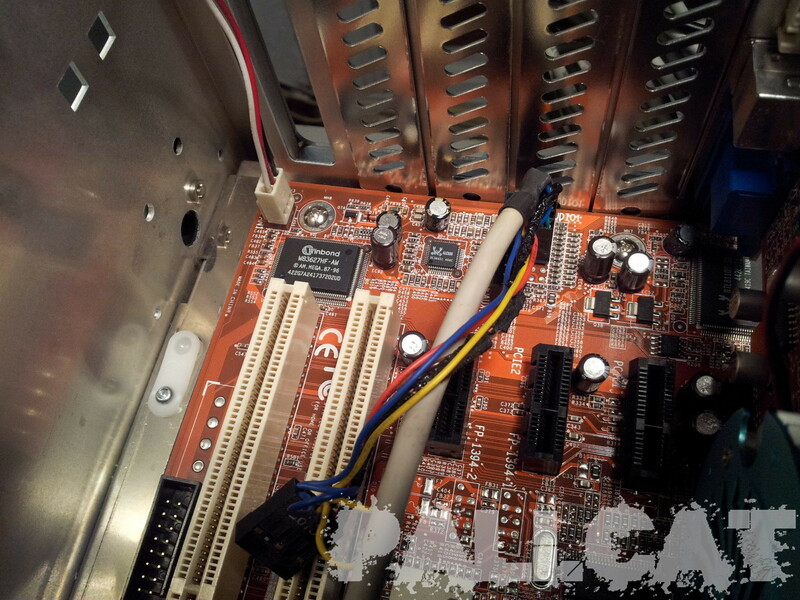 If it does not you will need to contact your system or motherboard manufactuer for assistance. Restart the system to make sure the drive is detected.